Yesterday the Southeast Missourian News ran an online article titled “Growing up Mormon.” Author Melissa Sirrine is a student at Brigham Young University but visits relatives in southeast Missouri each summer. Her article seems to be written for the purpose of informing her non-Mormon audience about the tenets of Mormonism, and specifically that Mormons believe in Christ.Noting that when in Missouri “I… find myself surrounded by those who don’t know a whole lot about what I believe,” Ms. Sirrine writes about her faith in Christ, the LDS health code known as the Word of Wisdom, the fact that Mormons do not practice polygamy, and her gratitude for membership in the LDS Church. I am grateful for the chance I have had to live in Southeast Missouri each summer. The area is dotted with churches filled with good Christian people who worship the same Savior who cares even when the littlest sparrow falls to the earth. I’m thankful for my faith. I’ve loved every minute of growing up Mormon. Can you guess which part of Ms. Sirrine’s conclusion caught my attention? I’m confused (though not surprised) that she identified the LDS Savior and the Jesus worshiped in non-LDS churches as the same Being. I don’t know much about the Jesus Ms. Sirrine worships; all she tells her readers is that He answers prayer and cares about things even as insignificant as sparrows. But it’s reasonable to make the assumption that she worships the Christ promoted by her LDS Church. And this Christ is not the same as the Christ non-Mormons worship. Certainly, the question could be raised (and should be raised) asking which–the LDS Christ or the “traditional” Christ of Christianity–is the true Christ (if either one). But Ms. Sirrine’s public assertion that they are both the same is really unfortunate. Her intended purpose in writing for the Southeast Missourian News was to inform people about her religion. Instead, she has misinformed them on one of the most important and foundational doctrines of Mormonism. We’ve seen that if any newspaper prints a statement suggesting polygamy is in any way connected to the LDS Church, it receives letters from Mormons explaining the error of that report. Do you think any Mormon will contact the Southeast Missourian News to set the record straight on the LDS doctrine of Christ? I really think it is dectiful for Mormons to call themselves Christians and claim we have the same God and saviour. They know as well as Anyone of us who study Mormonism, The LDS deny the trinity, the LDS believe Lucifer and Jesus are Brothers, The LDS believe they will or can Be gods someday, the LDS believe the Bible is corrput. As a Christian who believes the Bible to be the word of God, I deny all of those teachings, So How can we have the same gospel and saviour? Another uneducated Mormon “lying for the lord”! This is the kind of PR I spend my weekends working to educate Christian people on. I don’t blame her for her ignorance but I do blame the church. I spent 30 years in the Cult only to find out that it was all a lie. Is there a rebuttal letter planned? President Hinckley is drawing a juxtaposition for those listening (or reading). 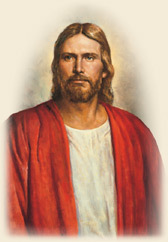 He is stating that we do not worship the same Jesus Christ that is based on the traditions of men trying to come to an agreement of who or what Christ is, but we worship the Jesus Christ that is spoke of in the Bible, whom Joseph Smith saw face-to-face and the Jesus he testified of, who appeared as a resurrected being in all his glory. Are you trying to lead the world to believe that there is confusion about who Jesus Christ is? let me help you understand who he is. He is the Son of God, the eternal Father. Our Saviour and our Redeemer. He was born of Mary, suffered in Gethsemane, and died on the cross at Calvary for all man kind. That is the Jesus Christ that the LDS faith worship. So tell us, who is this ‘other’ Christ that you are speaking of? Anonymous (October 29th), I’d like to make a couple of quick comments related to what you’ve written above. 1. It isn’t practical to include complete articles from which we quote, but we do include references so readers (like you) can look the quotes up in context. 2. You suggest the quotes in this post have been taken out of context, but you have not provided any evidence to support that assertion. I appreciate your inclusion of the entire paragraph from the Ensign article, but reading the greater context does not affect the point made in the blog. 3. You wrote, “President Hinckley…is stating that we do not worship the same Jesus Christ that is based on the traditions of men…” This is exactly the point made in the blog post. President Hinckley said the Christ worshiped by Latter-day Saints is not the same Christ worshiped by traditional Christians. Anonymous, the point being made is not that Latter-day Saints worship a false Christ (though that would be my position), but that they worship a different Christ — a point you yourself have supported. Sharon, this is exactly idealic response I expected. Why would I go to an anti-mormon website to learn about the Christ that the LDS Faith worship? That is as absurd as going to Pepsi’s website to find out how Coke is made. Why is it that everyone who disagrees with the LDS Faith claim to know what the LDS Faith believes? Why wouldn’t you direct them to the authority on the subject of LDS belief’s? If you want to know what the LDS faith believes, then go tho this link… Jesus Christ. I would be curious to see a link you can provide that will decribe your beliefs. Who IS the living Christ of traditional christianity? Where is that in all your supposed doctrinal content? I would love for you to put it side-by-side with my link and let people read the information for themselves. Don’t claim to have the ‘truth’ about LDS beliefs. Anyone who wants to know can go to LDS.org and get the answers from the authority on the subject. I went to the website you listed, I have been there many times before. Maybe I am mising something over their, so if I am please point it out. Why is it LDS tell people if they want to know about them better, to go to sites like that. Yet their is a ton of information they never tell us on that or other sites like it. Example, can you point out on that site where it says, Jesus and lucifer are brothers? Show me where it says, We must be baptised then married and sealed in the temple to enter the third heaven? D and C 84:21,35. can you show me that? or how about God was once a man who became a god? Maybe this stuff is on the site you provide and I missed it. but if it is there, please direct me to it, if it is not their, then explain how we/I can understand your religion and beliefe better if there are certain things you guys simply choose not to open share. Ok Rick. I will humor you. I understand your intentions. I will allow you to turn my words. But for your sake, and to save you the effort and energy it would take to find it yourself, here is what you asked for. You will have to look through each document to find the information, but it’s all there. Example, can you point out on that site where it says, Jesus and lucifer are brothers? how about God was once a man who became a god? It is on the site, and I have provided links for each of your requests. Thus I don’t need to explain how you can understand our beliefs better. It is all right there for the taking. The problem is, you would rather bash about being right, than searching for the answers yourself. Condemn not the things of God, that ye may be found spotless at the judgement-seat of Christ. I’ll jump in a little late but you, the mormon, are the one who needs to read up. Please just open your eyes; how can you believe such unbelievable rhetoric? I truly feel sorry for all of you (LDS) because I don’t see how God could ever forgive you for the blasphemy. It’s so easy to make a generalized statement. Especially when you have nothing to back up the generalized statement. The Gospel of Jesus Christ is simple. Faith, Repentance, Baptism, the Gift of the Holy Ghost, The Atonement, the submission of Jesus Christ to the will of his father, the judgement, and the ressurection. Where in these princples do the LDS blaspheme? You shouldn’t feel sorry for us. You should feel sorry for those who don’t have Christ in their life. That is true sadness.